First Group are passionate about helping the people of York enjoy the freedom of travel every day. They get their customers from A to B allowing the city to be productive, helpful, and fully-experienced by tourists. First Group wanted to show their support on the buses for York's Bloom! Festival. Buttercrumble were commissioned to transform the buses' exterior using floral illustrations, making them an exciting spectacle. The flowers were bright, bold and beautiful. They brought colour around the city as they transported the public. The illustrations were inspired by mid-century design to convey a sense of "flower power" during the summer months. 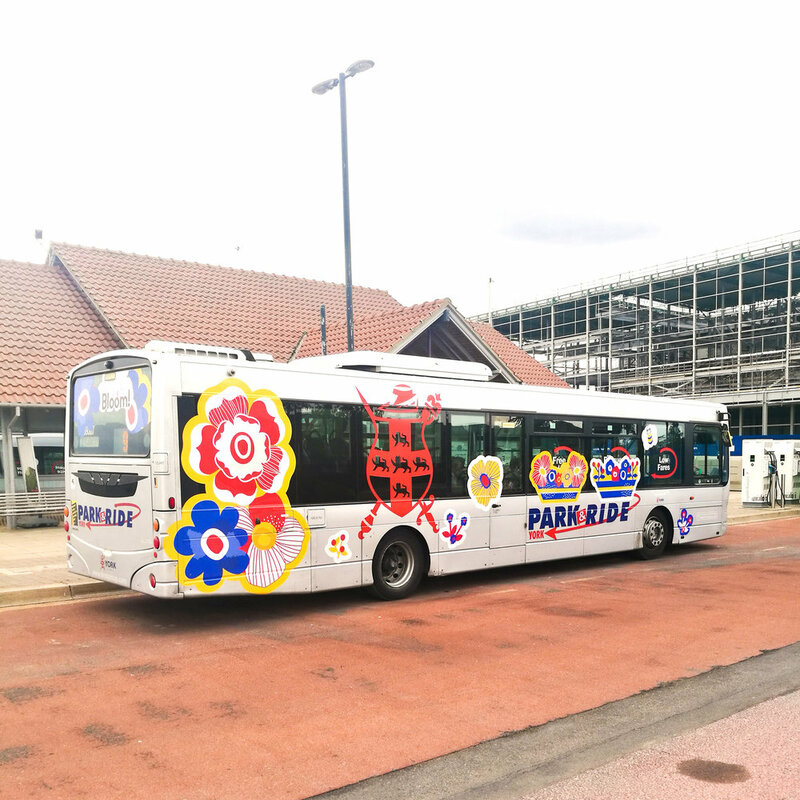 The colours we used co-ordinated with York's Park & Ride buses so the flowers blended seamlessly with the existing bus graphics. The flowers were attached to the bus as large-scale vinyl stickers. 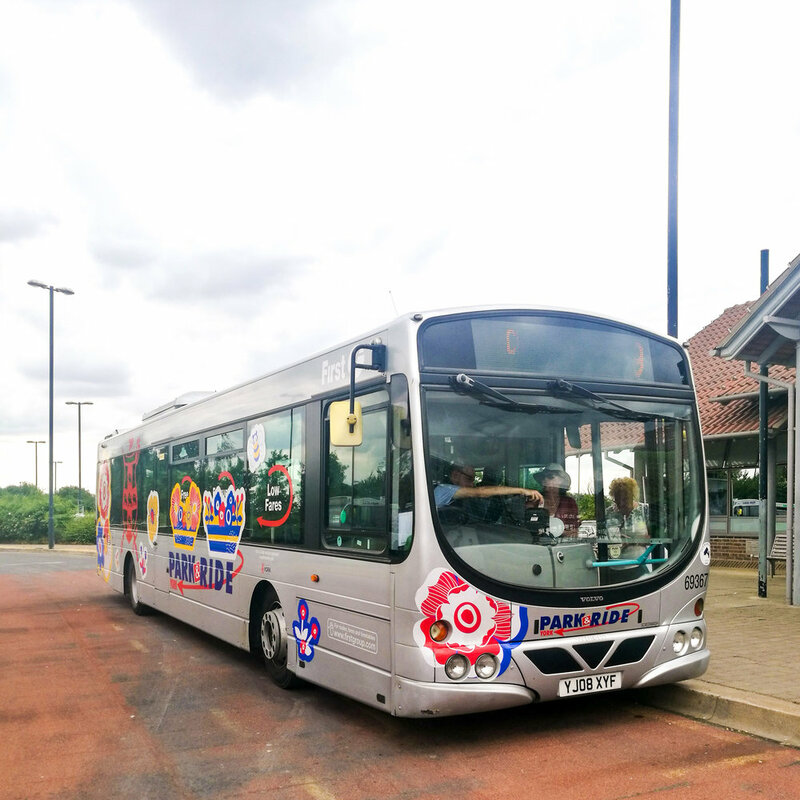 We enjoyed collaborating with First Bus to create these floral illustrations which were transported around the beautiful city of York during summer 2018. Illustration is a brilliant way to introduce a sense of fun and colour to your brand. When used in unusual settings, it can capture the attention and imagination of your audience.